We fully appreciate the importance of helping you quickly and efficiently if you have a problem with your product so, if it is stolen, damaged or breaks down meaning you need recovering the Premier Care Scooter and Powerchair Insurance policy is here to help. Additional protection for you from compensation claims if you have an accident causing injuries to other people or property – in today’s “compensation culture” is a must. 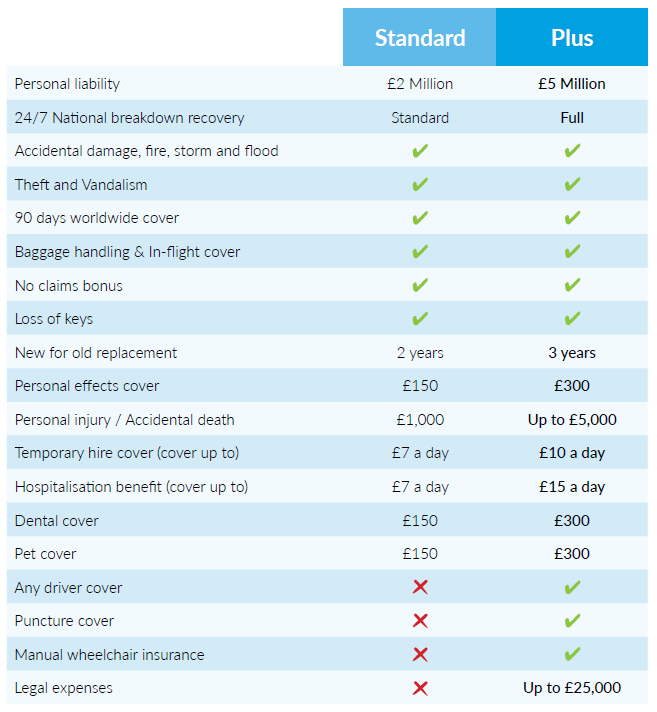 Mobility Pit Stop and Premier Care can assist you to find your ideal insurance or warranty cover. Please see the benefits chart and read the below key-facts document information so that you fully understand the scheme before purchasing cover. Want 3 months free insurance?